If you’d like to send a remembrance about Ed or an expression of sympathy, please email: rememberingedearley@gmail.com. Dr. Edward J. Earley (“Ed”), 76, of Fogelsville, passed away on Wednesday, January 3, 2018 at St. Luke’s Hospital, Allentown, surrounded by his family. Ed was born in Dunmore, PA to the late Edward, Sr. and Eleanor (Hess) Earley. He was married on June 15, 1968 in Honesdale, PA to Jan Gallick. They celebrated their 49th wedding anniversary this past June. He joined the U.S. Navy Reserve upon graduation from high school, honorably serving his country for six years. He spent 21 months in active duty aboard the U.S.S. Staten Island, an icebreaker. Departing from Seattle, Washington, his assignment took him from the Arctic to Antarctica; stopping in Point Barrow, Alaska; Pearl Harbor, Hawaii; and Santiago, Chile. He was released from active duty in 1964. He earned his B.S and M.S. degrees from the University of Scranton and an M.S. and Ed.D. from SUNY Albany. He taught in the Damascus and Wallenpaupack School Districts and subsequently was a Professor in the Department of Elementary Education and the Graduate Reading Program at Kutztown University for 31 years. He was also an Adjunct Professor at Temple University. Ed liked to stay busy! After retirement, he devoted himself to community service. He served as a Supervisor in Upper Macungie Township for 12 years and was Chair for 8 years. He also chaired the Berks-Lehigh Police Commission for 7 years. He was a member of UMT CERT since 2008, a Fire Police Officer at Station 8 (Fogelsville) for 13 years, and a member and Trustee at UMT Station 56. He also served on both the Parkland School Board and the Board of Limited Jurisdiction at the St. Joseph the Worker School, and most recently, he chaired the Building Committee at St. Joseph the Worker Church. Ed also enjoyed taking care of his yard and working around the house, the company of his two cats, and started every day by doing the crossword in the Morning Call. Survivors: He is survived by his beloved wife, Jan; daughter Erin Ginsburg and husband Michael of Mount Kisco, NY; daughter Sarah Coffey and husband Dan of Waltham, MA; and son Jason Earley of Bethlehem; four grandchildren; and his brother Richard Earley and wife Eileen of Jupiter, FL. Services: A Memorial Mass, will be held on Monday, January 8 at 11:00 a.m. at St. Joseph the Worker Roman Catholic Church, 1879 Applewood Drive, Orefield. The Rev. Msgr. Robert J. Wargo will be the celebrant. Family and friends may pay their respects from 9:30-10:45 a.m. in the Church. Arrangements by Keller Funeral Homes, Inc., Fogelsville, www.KellerFuneralHomes.com. 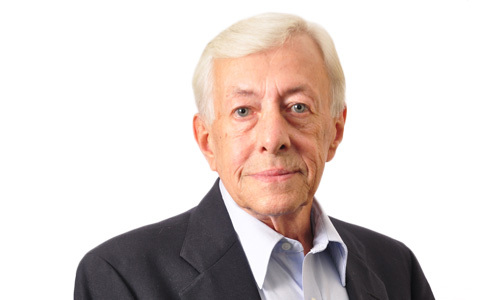 Contributions: Ed was a self-professed “lifelong learner” and enjoyed sharing information and inspiration with his family and friends. To celebrate his commitment to education and to his community, in lieu of flowers, memorial contributions may be made to the St. Joseph the Worker School, 1858 Applewood Drive, Orefield, 18069.